29 Nov 2018 --- Global food systems are failing and urgently need to be turned around to avoid catastrophic climate change, according to some of the world’s leading science academies. An in-depth report from the InterAcademy Partnership (IAP) calls for a total transformation of how systems operate as agriculture and consumer choices are major factors driving “disastrous climate change.” Key themes include the type of food produced and how to mitigate impacts through “climate-smart” food systems as well as dietary changes such as cutting down on meat. The report comes as a “wake-up call” to world leaders ahead of the UN Climate Change Conference, COP24, in Poland starting on Sunday. Click to EnlargeAfter working for three years on this report, these experts want to drive collective action worldwide to transform global food systems in order to feed the world’s growing population and lessen the impact of climate change. Now, the wide-ranging IAP report – Opportunities for future research and innovation on food and nutrition security and agriculture; The IAP’s global perspective – has issued a myriad of stark warnings and red flags on how global food systems are failing humanity and speeding up climate change. “The food industry has a huge role to potentially play. There is the whole issue of trying to make food healthier. A lot of the food on the shelves at the moment is not healthy because it doesn’t have the appropriate nutrient density,” Professor Benton says in response to FoodIngredientsFirst questions. “We need to be much more concrete and recognize that these changes are necessary. Some of the big companies are absolutely upfront to say that their business future has to be based upon providing foods that improve people’s health, not decreasing health, and improve people’s environmental well-being through making sure there is sustainable sourcing and low waste, etc,” adds Professor Benton. Industry should “coalesce” and work together in a non-competitive space, adds Professor Benton. Industry can work with consumers and policymakers because the change has got to come if we want to live on a sustainable planet, he stresses. “Yes, the food industry needs to get the basics right,” echoes Dr. Fears. “Industry has a very important role to play,” he tells FoodIngredientsFirst. High-calorie food production contributes to health challenges including obesity, says the IAP, while climate change is exacerbating food and nutrition insecurity and inequality. Dietary changes are key to alleviating food production’s effect on climate change. Recent in-depth analysis involving the University of Oxford and the Potsdam Institute for Climate Impact Research in Germany says adopting more plant-based “flexitarian” diets globally could reduce the greenhouse gas emissions of the food system by more than half. The emergence of lab-grown meat and the growth of plant-based proteins and other foods were also part of the IAP press conference discussion. Reducing meat and eating a more plant-based diet are key ways to reduce the impact of climate change on earth while also improving health. Why is the global food system broken? “If you do a range estimating the external costs of our poor diet on health care and environmental systems worldwide, you get quite a big multiple of the profit made from farming, i.e. the costs are greater than the benefits. If you were to design a food system in a different way you would end up with something that looked radically different from our current food system,” explains Professor Benton. He points out that society has spent decades heavily investing in fuel efficiencies to drive down greenhouse gasses from the transport sector. “We need to do something radically similar within the farming sector,” possible by changing the way we “grow the animals,” he adds. “No academic expert in this area is saying that the world should be vegan or vegetarian. The issue is that too much meat eating is doing the damage and eating less meat is perfectly [possible] in health and planetary boundaries,” he adds. The IAP report comes just ahead of COP24 and food security meetings with the European Commission, the Food and Agriculture Organization of the UN and the International Food Policy Research Institute. “Next week at COP24, we need to see leaders take action on climate change and go beyond political statements. It is not only the environment that is at stake but health, nutrition, trade, jobs and the economy. Agriculture and consumer choices are major factors driving disastrous climate change. 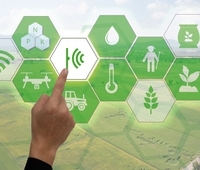 We need robust and ambitious policy responses to address the climate impacts of agriculture and consumer choice and scientists have a major role to play,” says Professor Joachim von Braun, Co-Chair of the IAP Project. What kind of changes need to be made? The IAP says there is an urgent need to strengthen evidence-based policies and programs and invest in solving the “most critical challenges of our times.” This can be done through food production and consumption of healthy and sustainable food. It calls for climate-smart agriculture, innovative food and cutting-edge technologies. Nteracademy Partnership Health Nutrition Planet Climate Change Global Food System Greenhouse Gas Emissions COP24 Agriculture Farming Lab-Grown Meat Meat Plants Diet Calories Environment Sustainability.